This was my view this morning, and it's so pretty, I had to share it with you. I added a snippet from Wooing Cupid to make it extra special! I blog a lot (OK, relatively speaking) about various aspects of book publishing, because I’ve worked in the publishing industry for practically forever, and because I’m an author who has traditionally published books and self-published books. Not that I know everything there is to know about publishing. But I’ve been places and seen stuff, and I like to share it with you. So how about we talk about going with a small publisher instead of a massive one? Recently I self-published a fantasy romance with a contemporary setting and a lighter tone than my usual fantasy voice. So, more like my contemporary/romcom stuff, but with a fantasy element. I figured it was a fun little story for Valentine’s, and it will be fun to add to that series every year. Anyway, I did one of those promotional things where the book is free on Amazon for a few days (if you missed out on that, you can still get Wooing Cupid for $0.99). Then, with all those copies on Kindles all over the world, it occurred to me that hey, once people start reading Wooing Cupid, wouldn’t it be nice if one of my traditionally published books were on sale to tempt them a little more (of course those books are listed in the self-published one, because I was using my thinking cap). 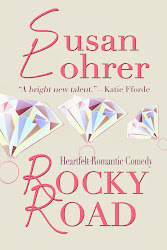 So I asked my publisher whether it would be possible to do a sale for Rocky Road. And within minutes, I heard back: absolutely! I left the sale and the timing of it in my publisher's hands, but I know it'll happen at the right time and at the right price. If I had a big-time agent and a New York publisher, I bet that discussion would’ve been much slower and probably would’ve ended with a no. So there you have one reason to consider going with a small publisher. If it’s the right publisher, the cooperation and mutual support can be fabulous. It sure is in my case. If you’re wondering: my fab publisher is 5 Prince Publishing. 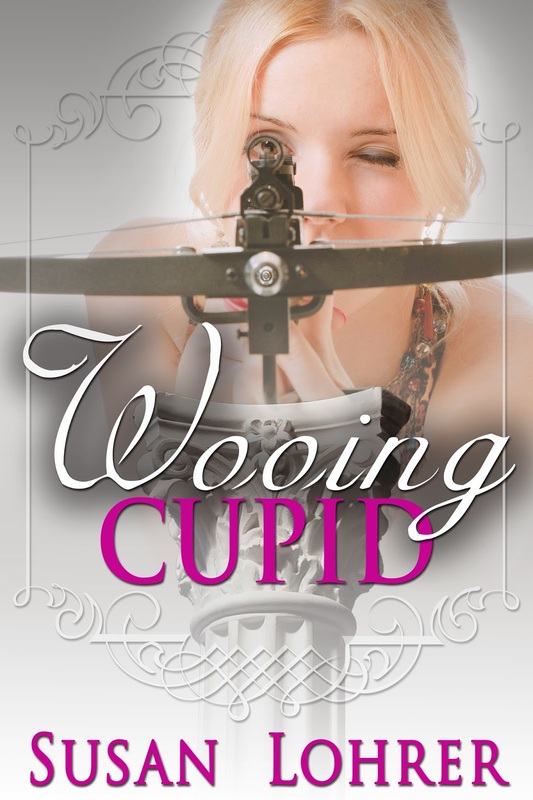 I'm ecstatic to share with you my new release available exclusively on Amazon, a romantic novella called Wooing Cupid! A frigid February wind blasted the streets of Cupid’s Hollow and hurried Valentine Arciere’s steps as she and her grandmother arrived at Valentine Sports. Val unlocked the door. The buildings on either side of the store stood dark and empty, snowdrifts banked against their entrances. The desolation painted a grim contrast to the bright, bold posters that decorated every window on Main Street advertising the Valentine’s Day Gala just two weeks from today. She sucked in a deep breath and raised her chin as she pushed open the door, the brass bell tinkling overhead to announce her arrival. She’d hung that bell the day she signed her name on the deed beside Gram’s. The bell’s tone sang out the sound of hope, the sound of independence, every time the shop door opened. Which, lately, wasn’t often enough. She flicked on the light and saw a crudely lettered warning lying on the floor. Again. She stooped to pick it up before her grandmother, who was right behind her, could see the lettering. But Gram plucked the paper from her hand. The wrinkles around her mouth puckered. “It’s nothing, Gram.” Val plucked up the paper, wadded it, and tossed it into the recycling bin behind the counter. “Maybe we should lease out the store,” Gram whispered. “I could retire. You could travel. It might not be such a bad thing to find out what else life might hold in store for you.” If Gram believed that, why did she sound so devastated—like she’d given up? But Val noticed Gram hadn’t gone so far as to suggest actually selling out. The family business still meant everything to her, just as it did to Val. On the wall above the counter, a photo of her parents showed them laughing in the sun on their sailboat, Salacia, somewhere in the Mediterranean. They’d e-mailed the shot a day before a storm sank their boat. That photo, and the sports shop her parents had named after her, were all she had of them. All Gram had of her daughter. Val laughed. But after Gram trundled into the office at the back of the store, she braced her hands on the glass top of the counter and breathed deeply. Gram had never said anything about retiring before, so this was the first time Val had thought of her grandmother as anything but a sprightly older lady, the one person in her life who would always be there. But Gram was getting older. Every business on Main Street except theirs had eventually sold out when Jupitropolis offered sums that to the small-town shop owners seemed outrageously generous. Jupiter’s megastore was offering jobs, pensions, even a modest health care plan. When the first letter arrived offering to buy the sports shop, standing her ground had seemed like the only sensible idea. It was a matter of principle. 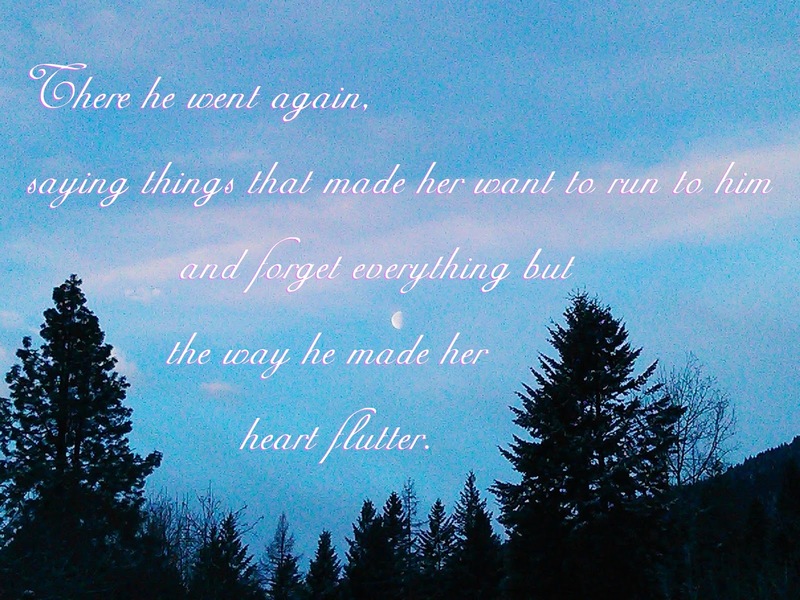 A principle, it seemed, that only Valentine believed in anymore. If she gave in, Cupid’s Hollow would become just one more community powered by the gaudy plastic heart of Jupitropolis. If she refused to sell, she would be singlehandedly responsible for destroying the economy of Cupid’s Hollow. 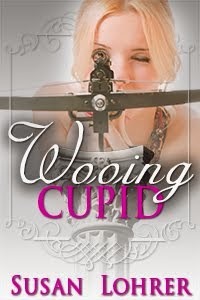 Buy Wooing Cupid at Amazon. Some people believe book pirates are wicked creatures that should be punished long and painfully; others believe book pirates would never have paid for books in the first place and so aren't impacting sales; a third group believes few pirates would exist if book publishers would lift all geographic restrictions on their e-books. I'm sort of with that third group, if you're wondering. But that's not what this post is about. This post is about a fan-freaking-tastic description of Rocky Road... spotted on a pirate site. I used Google Translate to so we can fully enjoy it. 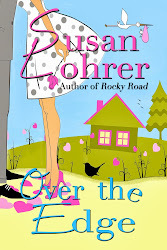 This ebook returns as # 1 bestseller The New York Times [Zowie! I wrote a New York Times best seller! And apparently the book has returned from... somewhere]. ebook liberating and totally addictive [Just like the ice cream. ], recently appeared on the market in this edition ebook here [Brought to you by your friendly neighborhood book pirates.]. The ebook, which is filled with energy and good humor. The book, which reminds us that in life, anything can happen and you can never give up [Actually, they have this part right. Even pirates can be insightful]. The book, for all the pleasant evening in your favorite chair [A favorite chair is an excellent furniture choice for reading]. As you know, our customers always come first, which is why we want to give you the news firsthand about an announcement made today from Sony regarding its plan to close Reader Store in the U.S. and Canada. Although we're sorry to say goodbye to the Reader Store, we're also glad to share with you the new, exciting future for our readers: Reader Store will transfer customers to Toronto-based eReading company, Kobo—an admired eBook seller with a passionate reading community. We strongly believe that this transition will allow you to enjoy a continued high-quality e-reading experience. As a result of this change, we will close Reader Store in the U.S. and Canada on March 20, 2014 at 6 p.m. (EST). You don't have to do anything right now, and you'll be able to re-download your previously purchased eBooks for a limited time. In late March, you will receive a notification from us with a link that will allow you to transfer your library to Kobo. Whether you are new to Kobo or already have an account, you'll be able to transfer your Reader Store eBooks to your Kobo account so you'll continue to have access to them in the future. Plus, any existing Reader Store credits you might still have in your account will transfer to your Kobo account to use at the Kobo Store. And of course, you can continue to use your Sony Reader to read eBooks from Kobo. We are fully committed to helping you through this exciting transition to Kobo. With the Kobo Store, you'll have access to more than 4 million of the world's best books, magazines, comics and kids' titles, all at your fingertips. We want to thank you for being such loyal customers, a part of our reading family, and for your continued support as we work to complete this transition. It has been a pleasure reading with you!